Almost every patient that visits a primary care physician is guaranteed to a blood pressure (BP) check. It’s not something often neglected, nor requested—it’s a commonly-accepted measure of a patient’s health in a care setting. 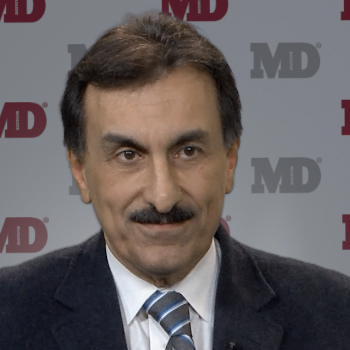 Paul P. Doghramji, MD, wants to know why the same principle isn’t applied to sleep. In a continuing medical education (CME) symposium—supported by Eisai Inc and Imbrium Therapeutics—during the 2019 American College of Physicians (ACP) Internal Medicine Annual Meeting in Philadelphia, PA, the senior family physician from Collegeville Family Practice made the case for actively assessing patient sleep habits, the forgotten middle child among eating and exercise in critical primary care settings. Doghramji—joined in discussion by Karl Doghramji, MD, and David N. Neubauer, MD—noted sleep monitoring is not often emphasized as a crucial aspect of patient in medical school. But that doesn’t negate its unchecked prevalence; studies have shown that at least 50% of all primary care patients experience insomnia at some point. Only 1 in 3 will present the issue to their doctor, Doghramji said, and just 1 in 20 will seek therapy for it. Touching back on the comparison to BP tests, Doghramji pointed out how often conditions and issues are associated with poor sleep—about as many that are associated with worse BP readings. Physicians are just more used to addressing the latter. Insomnia can be informally defined as sleep habits that poorly affect a person over a period of time, occurring at least 3 nights weekly, over at least 3 months. Patients that suffer from the condition often fall into cyclical habits intended to compensate for the condition, which actually lead to them perpetuating their sleep issues. Currently, 40-70 million US adults (about 30% of the population) suffer from insomnia, and another 10% of the general population reports associated symptoms. Cardiovascular, musculosketal, and gastroenterogical conditons, as well as endocrine illnesses and central nervous system diseases are prevalent in at least 15% of the insomnia patient population, and there’s a well-evidenced bi-directional association between depression and insomnia. Diabetes risk increases three-fold in patients with insomnia, and hypertension risk increases five-fold. Lack of sleep is responsible for an estimated 100,000 annual deaths in US hospitals due to medical errors, and the annual cost of sleep conditions in the US healthcare system is estimated to be between $15 billion and $150 billion. These facts drive the need for proactive sleep assessment and care, Doghramji said. Primary care physicians can start with a basic line of questioning. Karl Doghramji also advocated for the application of the Insomnia Severity Index (ISI) for patients that show initial issues in sleep habit. He noted the ISI form is simplistic, only requires a few minutes for a patient to complete, and easily tracks progress visit-to-visit. Risk factors are fairly distinguishable in sleep disorder patients, Doghramji noted. Conditions are more prevalent in older patients, as well as females—particularly those who are postmenopausal or perimenopausal. Patients who have been through a divorce, separation, or loss of a spouse are also more susceptible. Chronic pain and psychiatric illnesses are common risk factors, and patients may more often engage in behaviors such as cigarette smoking, and alcohol and/or coffee consumption more frequently. Doghramji noted primary care physicians may be wary to engage their patient on sleep disorders if only because they’re uncertain of the next steps. To that, he advised they embrace the learning curve—as they had to for BP readings and questions about depression symptoms. A physician doesn’t immediately refer a patient with chest pains to a cardiologist, and they shouldn’t have to refer a patient with poor sleep habits to a specialist. Embracing the scope of sleep disorders—their prevalence, their harm, and especially the simple clinical steps that can limit their reach and symptoms—is a necessity in the primary care space. Like gauging a patient’s exercise routine and diet, it could make all the difference. “You don’t wonder why—you just know it’s worth it,” Doghramji said.